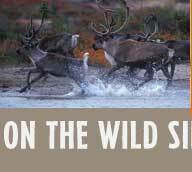 Welcome to On the Wild Side, WCS Canada’s e-newsletter. Through this newsletter we keep our colleagues and supporters informed about the great wildlife conservation work being done by WCS across Canada. Know others with a passion for wild places? Click here to forward them this newsletter. Dr. Cori Lausen has begun to unravel the mystery of bat hibernation in western Canada as part of her research on the westward spread of White Nose Syndrome fungus, a disease that kills bats during hibernation. This still early stage project, which got underway in the fall of 2011, has already begun to provide insights into how White Nose Syndrome may impact bat species in western Canada. This past fall and winter, Cori captured and radio-tracked 268 bats representing nine different species and located many previously unknown hibernation locations in central B.C., including several mines. Some of these mines are now considering erecting gates to prevent bat disturbance and accidental contamination with the fungus that causes White Nose Syndrome. 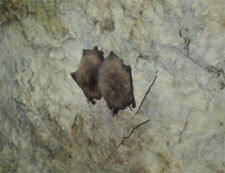 However, Cori did not find large clusters of hibernating bats, like those typically seen in eastern North America. Instead numbers of bats in hibernacula ranged from one to 53. Some evidence collected by Cori suggests that some species are far more active in winter than others, feeding on insects’ mid-winter and mating, for example. Winter roosts included rock cracks, trees, snags, mines and caves. Thanks to continued project funding from BC’s Habitat Conservation Trust Fund, and BC Hydro’s Fish and Wildlife Compensation Program Columbia Basin, the second year of this research project will begin this fall and will include acoustic monitoring and radio tracking. While results are still preliminary, data from Year 1 suggest that White Nose Syndrome is less likely to affect some western species, but stay tuned as Cori continues her research. With generous support from The W. Garfield Weston Foundation, WCS Canada has awarded fellowships which provide all or partial funding of graduate level field research activities. The research undertaken by these students will be relevant to WCS Canada’s conservation objectives in the two regions where WCS is pursuing various long-term science-based conservation efforts: the boreal region of northern Ontario and the northern boreal mountains of Yukon and British Columbia. Jeremy R. Brammer, McGill University (PhD Candidate), is developing a series of tools and techniques for northern communities to monitor, communicate and adapt to environmental changes. A goal of this project is to find ways to better integrate traditional and scientific knowledge. Anjali Karve, University of Toronto (PhD Candidate), is examining how the commercial removal of downed woody debris from Ontario’s northern boreal forests for biofuel production may impact small mammal biodiversity. Sara Kuleza, University of Saskatchewan (MSc Candidate), is studying how increases in soil temperature and nutrients due to climate change affect native tundra plants in the Yukon. This study will also examine how much these climate change factors allow for the invasion of boreal plant species to the tundra environment. 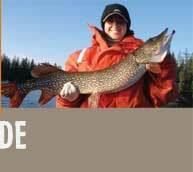 Josef MacLeod, Laurentian University (MSc Candidate), is surveying lakes in the “Ring of Fire” region of northern Ontario to collect baseline information on these understudied water bodies. He will collect information on a suite of physical and biological variables to provide a means for comparison in the face of future development in this region. Marco Raponi, Trent University (MSc Candidate), is examining the role of biting flies in shaping the habitat use and behaviour of woodland caribou. His work will help to uncover how insect harassment may exacerbate habitat loss for woodland caribou with impending changes to the boreal forest due to climate change and resource extraction. Ayden Sherritt Trent University (MSc Candidate), is developing a new tool for the rapid assessment of woodland caribou habitat based on site fidelity, the tendency of adult females to return to the same location in consecutive years. He is using this tool to examine how forest disturbance in northern Ontario and Manitoba affects site fidelity of woodland caribou, which is directly related to calf survival. Lori Schroeder University of Alberta (MSc Candidate), is studying the impact of reintroduced Wood Bison on native grasslands in southwest Yukon. Her study will address concerns that the rapid population increase of reintroduced Wood Bison may compete with other native ungulates and alter grasslands that contain rare and endemic plant species. Scott Williamson University of Alberta (PhD Candidate), is measuring how the reduction in snow cover and increase in shrub cover, as a result of climate change, affects tundra albedo (i.e. reflectance of sunlight on the earth’s surface) in the southwest Yukon. His project will identify which landscapes are rapidly changing and which are showing resilience which will, in turn, dictate the numbers and diversity of wildlife that the ecosystem can support. On May 15th, WCS’ Dr. Damien Joly presented WCS Canada’s remarks to the Standing House Committee on the Environment and Sustainable Development regarding Canada's National Conservation Plan (NCP). Damien presented for 10 minutes followed by a round of questions by the MPs. Damien fielded questions about Bill C38, the Fisheries Act and the loss of science due to federal budget cutbacks. To see WCS Canada’s remarks, click here. WCS’ Dr. Don Reid is a co-author on the recent paper in Polar Biology entitled: Arctic fox versus red fox in the warming Arctic: Four decades of den surveys in north Yukon. 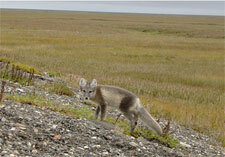 This report investigated the abundance of red and arctic foxes using den surveys on the tundra of north Yukon during International Polar Years 2008-2009 and compared these to surveys as far back as the 1970s. This region has undergone the most intense warming observed in North America, and the authors' original expectation was to find the competitively superior red fox expanding its range at the expense of the arctic fox. However, the recent surveys indicate little change in the relative abundance of the two species, with arctic fox continuing to be the most numerous. On the Yukon tundra, the competitive balance between red and arctic foxes has changed little in 40 years despite ongoing warming — warming has not enhanced the survival of red fox either by improving their small rodent food supply or by giving them a break in dealing with winter cold. The authors suggest that in other arctic regions where red foxes have successfully expanded their ranges and outcompeted arctic foxes, humans have played a crucial role by providing concentrated sources of food for red foxes to scavenge, at landfill sites or as reindeer, caribou or marine mammal carcasses on the land. For more on these somewhat surprising findings, read an interview with Don from the Yukon News. WCS Canada Exective Director Justina Ray was invited to speak at the recent Muskoka Environmental Summit as the morning kick-off speaker and again on a discussion panel on biodiversity which was aired on the CBC radio program "Ideas." Check our website for other recent publications by WCS staff. On the Wild Side is published six times a year for colleagues and supporters of our wildlife conservation work. To subscribe, click here. To unsubscribe, click here.